The grass is not always greener on the other side, as Mark Reynolds will tell you. Everything was set for him joining Sheffield Wednesday in 2011, a former Premier League side who had offered the then-Motherwell defender the chance to crack English football. However, the manager who brought him there, Alan Irvine, was sacked within a month of him arriving. Under subsequent bosses Gary Megson and Dave Jones, Reynolds barely got a sniff, making just 14 appearances during his time at Hillsborough. 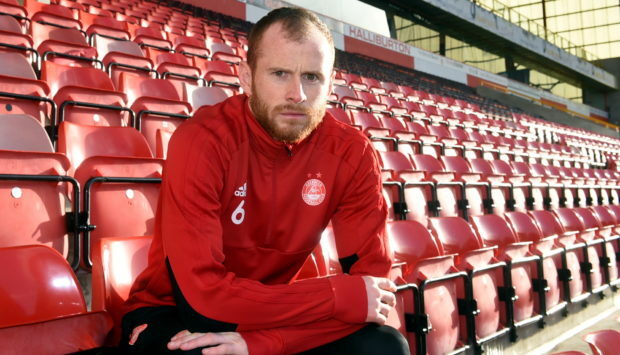 Two loan spells at the Dons proved his salvation and at a time when team-mates may consider leaving Aberdeen, he is grateful with how things panned out. Reynolds said: “Looking back it was the wrong decision but at the time it was the right decision. If I was to go back then I would still make the same decision. Looking back with the way things transpired people may think it was the wrong decision but if I was in the same position I would make the same decision again. 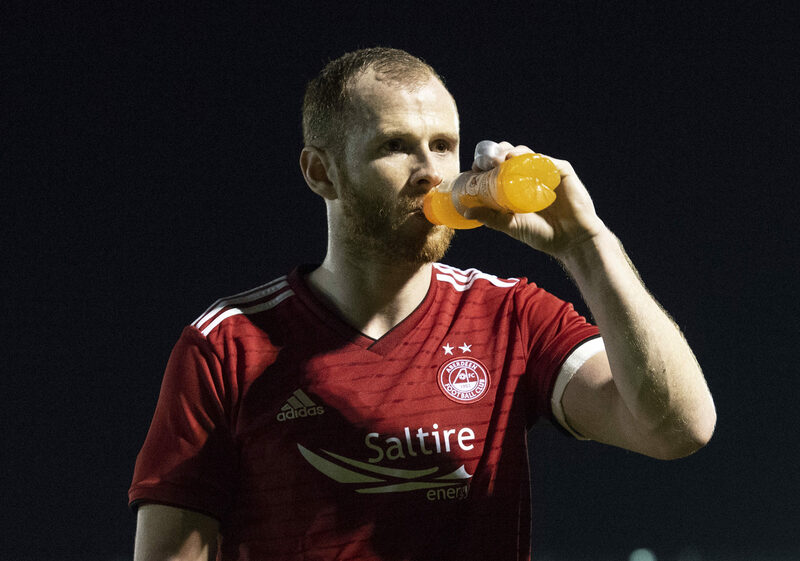 Mark Reynolds returned to action in Dubai. Reynolds was offered a saving grace by his former ‘Well boss Craig Brown, who brought him to Pittodrie twice, before signing him permanently. Team-mate Graeme Shinnie is one player who has been heavily linked with a move to England and said it impossible to judge this early whether the move would be a success. Reynolds said: “I can understand why there is interest. We have been second over the last four years. It is a very good changing room and we have very good players. It would be stranger if there wasn’t interest and we weren’t getting offers. Everybody is different and has different ideas. The only time you can judge a decision when you look back at it. “You can sit down and weigh everything up and it looks great, I did that at Sheffield Wednesday, and it couldn’t have gone worse. The manager got sacked after two weeks and I couldn’t get involved with the new manager and that was it done. Looking back I maybe shouldn’t have done it but the time I made my decision everything in front of me looked right. You just have to look at your options. Reynolds himself has come back from six months out with a cruciate ligament injury, in time for today’s Scottish Cup tie against Stenhousemuir. The 31-year-old is eager to make up for lost time. He added: “I feel as good as I have ever felt. We are lucky here with the sports science department and physios track all our numbers for speed work, weight-lifting and all the stuff. I have surpassed most areas and I have been as strong as I’ve been.